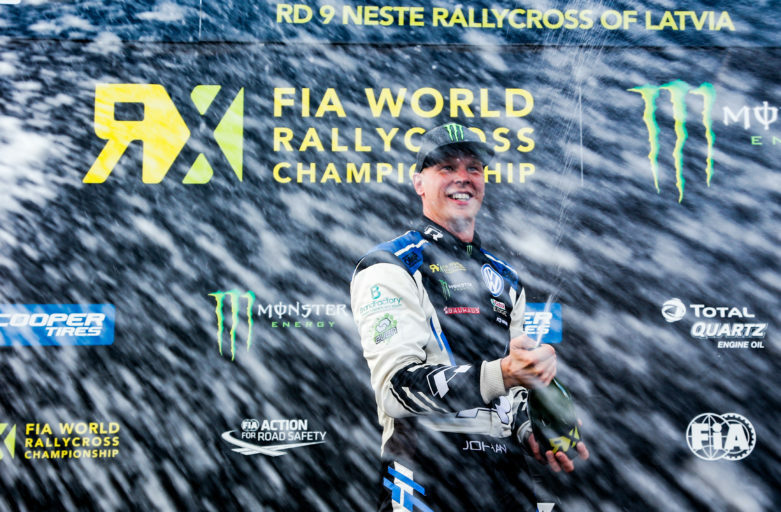 The sweep of victories continues for Johan Kristoffersson. 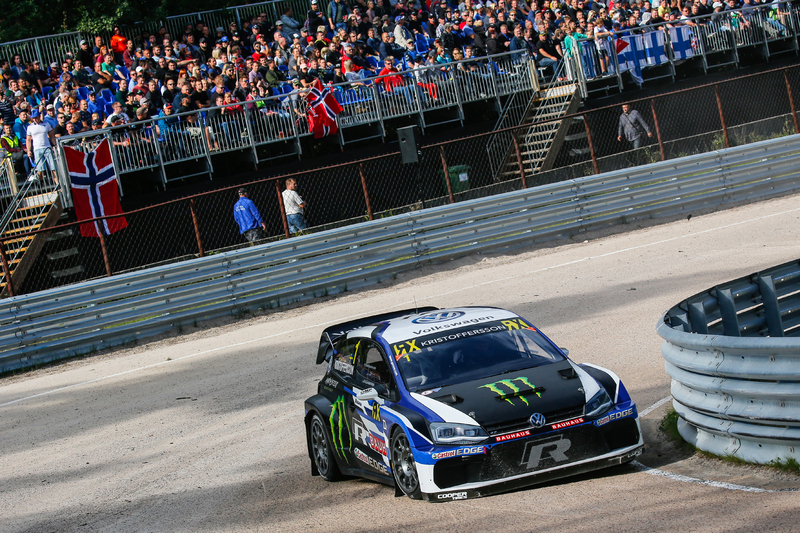 After yet another flawless weekend, the PSRX Volkswagen Sweden star took his eighth World RX win this season – again a recordbreaking achievement in the history of rallycross. The ruling world champion keeps his number one position. The chance of that happening is definitely within reach after another outstanding performance. Johan set the bar high already on Saturday and proved that the job with improving the starts has paid off. Johan’s Polo R Supercar flew straight to victory in both qualifying heats on Saturday. In Q3 on Sunday, Johan came to start with used tyres. He still won his race, but had to settle with a third quickest time in the heat. In the fourth heat, Johan was back where he started and after finishing P1 again, he secured the first 16 points of the weekend in a convincing style. Just in time for the semi-final, the Swede put brand new tyres on his Volkswagen rocket and managed to be quickest in the start, despite having a close fight with Mattias Ekström towards the first corner. ”The semi-final was pretty messy the first laps and I made a few mistakes. I was a bit more careful there, since I knew the speed was still there” said Johan. In the final, ‘Mr 100 percent’ made another perfect start and had a nice ride towards the 17th victory in his career and the fifth round with maximum points this season. 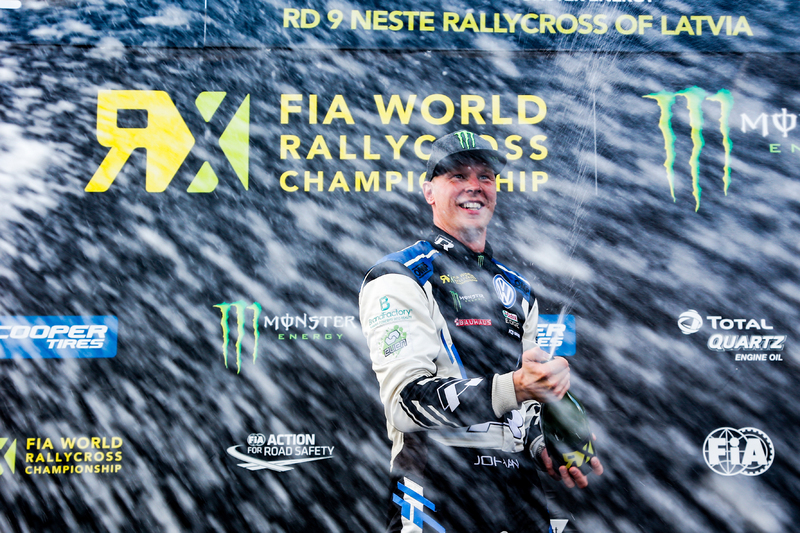 It’s been said before and became even clearer to everyone this weekend: no one can stop Johan Kristoffersson in 2018! Overall in the Drivers’ Championship, the Volkswagen Sweden driver has a 73 points’ lead ahead of Mattias Ekström, with three more rounds to go.